Get ready for "five times the action, excitement and fun" (Shawn Edwards, FOX-TV) as Vin Diesel and Paul Walker lead a reunion of all-stars from every chapter of the explosive franchise built on speed. Fugitive Dom Toretto (Diesel) partners with former cop Brian O'Conner (Walker) on the opposite side of the law in exotic Rio de Janeiro, Brazil. There they are hunted by a high-powered U.S. strike force led by its toughest Fed (Dwayne Johnson) and an army of corrupt cops working for a ruthless drug kingpin. To gain their freedom and win this ultimate high-stakes race, they must pull off one last job - an insane heist worth $100 million. $86.198 million on 3644 screens. Back when The Fast and the Furious became a hit 10 years ago, did anyone imagine the franchise would still be going strong in 2011? Probably not, especially since the first sequel – 2003’s 2 Fast, 2 Furious - showed a minor decline in gross and the third – 2006’s The Fast and the Furious: Tokyo Drift - pretty much flopped. Rather than kill the series, the producers went back to its roots for 2009’s Fast and Furious. 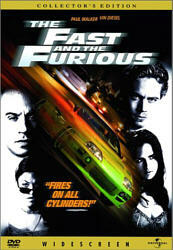 2 Fast brought back only Paul Walker from the first movie, Tokyo Drift featured none of the original cast. Fast and Furious changed that, as it got Vin Diesel back into the fold along with Walker and co-stars Jordana Brewster and Michelle Rodriguez. That shift apparently made a big difference, as Fast and Furious soared at the box office. It obliterated the weak $62 million take of Tokyo Drift; indeed, with its $155 million, Fast and Furious earned the highest non-adjusted gross of the series. Until 2011’s Fast Five, that is. It scored big-time and took in a massive $209 million. Rather than just milk a decade-old franchise, Fast Five ensured that we’d get plenty more entries in the series. I’d not seen any of the sequels, mostly because I wasn’t wild about the original film. Given the fifth flick’s success, I figured it would offer a good chance to get reacquainted with the action. Fast Five picks up right where the last film ended. At that time, Dominic Toretto (Diesel) was sentenced to prison for 25 years to life. His pal – and former FBI agent – Brian O’Conner (Walker) teams with Dom’s sister/Brian’s girlfriend Mia (Jordana Brewster) to free him from a police bus. They succeed and head on the lam. This takes them to Rio, where they engage in a big train-based car heist to raise some much-needed funds. This puts them in cahoots with the wrong people, and some US DEA agents end up dead. Not good, and our “heroes” jump high on the “most wanted” lists and federal agent Luke Hobbs (Dwayne Johnson) heads the manhunt. Dom, Brian and Mia attempt to stay one step ahead of the authorities while they also raise funds to flee Brazil and get to a country without extradition to the US. When I reviewed The Fast and the Furious back in 2001, I mentioned that movies like it didn’t really need much in terms of plot. That flick existed to present wild vehicle-based action and not much else. Any story/character development became borderline gratuitous. Has anything changed since 2001? Nope, though the fact this is the fourth film with most of the same characters means it’s burdened with more history than the first. The original movie didn’t have to deal with 10 years of interactions among the participants, whereas this one has to work though all sorts of relationships. Not that it does a whole lot with them, as it remains true to its brainless action flick roots. Some general character drama emerges, but not enough to make a difference. You don’t come to a movie like this for well-drawn personalities and/or a meaningful story. If anything, Fast Five could stand for some simplification. Not in terms of characters, as they’re already about as bare bones as they could get. The plot machinations could use some trimming, though. This is a simple chase/heist tale: we follow the leads as they attempt to stay away from Agent Hobbs and pull off the crime so they can get out of the country. The plot gets bogged down in a mix of other complications that don’t benefit it; it should’ve simply stayed with the basics and not attempted to gussy itself up with the other elements. Character issues become oddly lopsided along the way. We spend surprisingly little time with the three leads, as instead, the movie often prefers to hang out with the mix of secondary personalities who get involved in the heist. Perhaps this acts as a nod to Fast flicks two through four - Fast Five allows actors from all three to reprise their roles – but it still seems weird. While those other characters are fine, the movie should stick with the leads more often than it does. At more than 130 minutes, Fast Five seems awfully long for a film of this sort. The original clocked in at a breezier 107 minutes, and that feels like a more appropriate running time for a flick like this. While Fast Five throws out lots of action, it tends to drag on occasion, as the extended length makes it slower than expected. When it digs into its action, Fast Five does fare better – a bit, that is, but don’t expect miracles. Director Justin Lin manages to depict these scenes in a competent manner, but I don’t think he brings a lot of life to them. A more dynamic director would be able to make the action sequences soar – God knows the film offers plenty of over the top situations to exploit – but Lin never can do much more than give us set pieces that are… pretty good. Not great, not exhilarating, but… pretty good. For some, pretty good is good enough. If I found myself more involved in the characters or story, I’d probably feel that way; a film doesn’t need super-exciting action if it has other strengths. However, since the narrative and personalities of Fast Five seem so lackluster, the absence of really great action pieces becomes more of a flaw. None of these issues make Fast Five a bad film, but it’s a generally forgettable one. Footnote: if you hang around through the credits, you’ll find a teaser sequence that clearly acts as an opening for another movie. Fast Five appears in an aspect ratio of approximately 2.35:1 on this Blu-Ray Disc. Across the board, the transfer looked great. At all times, the film boasted excellent clarity. Only the slightest smidgen of softness ever appeared, as 99 percent of the flick provided crisp, precise images. I noticed no jaggies or moiré effects, and edge enhancement never manifested itself. In addition, the film failed to display any print defects. Like most action thrillers of this sort, Armored went with a stylized palette. Given the Brazilian setting, colors looked warmer than usual for the genre; a tan tint dominated but we got a lot of full, rich hues. Blacks were dark and full, while shadows demonstrated nice clarity and smoothness. I felt quite pleased with this presentation. I also thought the DTS-HD MA 5.1 soundtrack of Fast Five worked fine. Various vehicular elements offered the most active use of the spectrum. That’s to be expected, of course, and the car sequences zipped and zoomed around the spectrum. Other action tidbits were similarly exciting, such as train and bus crashes; a gunfight also kicked in a lively sequence. The track exhibited a high level of activity that made it a nearly constant kick. Audio quality pleased. Speech was concise and natural, without edginess or other issues. Music showed good range and vivacity, while effects worked nicely. Those elements came across as accurate and full, with solid low-end response and positive definition. This was a consistently strong soundtrack that made it to “A-“ level. We get plenty of extras here, including two editions of the movie. In addition to the film’s theatrical cut (2:10:28), we find an extended edition (2:11:35). That’s not much extra material, is it? The Blu-ray represented my initial screening of Fast Five, and I went with the extended cut. That means I can’t tell you what the latter added, but I wanted to mention that both versions appeared here. The extras launch with an audio commentary from director Justin Lin. He gives us a running, screen-specific look at what drew him back for a third Fast flick, sets and locations, stunts, action and vehicles, cast and performances, story and character issues, visual design, editing, and a few other topics. Lin provides a pretty solid chat here. He keeps the track moving well and delivers a good overview of the appropriate subjects. He seems oddly defensive at times – he often comments on criticisms that the Fast series lacks realism – but he’s still an engaging, informative subject. A staple of Universal Blu-rays, Fast Five includes U-Control. This interactive feature offers two options. “Picture-in-Picture” provides footage from the set and interviews. We hear from Lin, producer Neal H. Moritz, supervising stunt coordinator Mike Gunther, stuntman Oakley Lehman, military advisor Armando Egurrola, director of photography Stephen F. Windon, armorer David Fencl, screenwriter Chris Morgan, costume designer Sanja Milkovic Hays, picture car coordinator Dennis McCarthy, production designer Peter Wenham, special effects coordinator R. Bruce Steinheimer, 2nd unit Puerto Rico 1st AD James Larocca, 2nd unit stunt coordinator Jack Gill, and actors Vin Diesel, Dwayne Johnson, Geoff Meed, Yorgo Constantine, Fernando F. Chien, Alimi Ballard, Matt Schulze, Jordana Brewster, Tyrese Gibson, Sung Kang, Chris “Ludacris” Bridges, Paul Walker, Gal Gadot, and Elsa Pataky. “U-Control” also presents a feature called “Scene Explorer”. This only appears once during the movie, as it accompanies the train sequence near the flick’s start. We can watch a pre-viz version of the scene, dailies from the shoot, and behind the scenes footage from the set. It’s a fun way to check out aspects of the movie, though it’s too bad it only comes with this one scene; I’d have liked to see more of it. 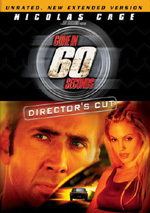 Two Deleted Scenes run a total of one minute, 40 seconds. The first (0:17) offers a very quick intro to Vince‘s family, while the second (1:23) shows a bit more of Hobbs and his team at work. Both are negligible and wouldn’t have added anything to the film. Next comes a Gag Reel. This piece goes for four minutes, 17 seconds and shows the standard assortment of goofs and giggles. It’s fine for what it is. A slew of featurettes follow. Normally I’d discuss these separately, but we find so many of them that it’s more efficient to view them as one long documentary and chat about them all at once. The featurettes fill a total of one hour, 11 minutes, 27 seconds. They include The Big Train Heist (7:37), Reuniting the Team (4:59), A New Set of Wheels (10:09), Dom’s Journey (4:55), Brian O’Connor: From Fed to Con (5:55), Enter Federal Agent Hobbs (5:50), Dom Vs. Hobbs (7:31), On Set with Director Justin Lin (8:36), Inside the Vault Chase (9:20) and Tyrese TV (6:35). Across the featurettes, we find notes from Lin, Diesel, Gunther, McCarthy, Lehman, Walker, Gibson, Gadot, Kang, Brewster, Bridges, Moritz, Johnson, Morgan, Gill, Steinheimer, SFX coordinator Matt Sweeney, stunt driver Corey Eubanks, visual effects coordinator Michael J. Wasser, Dodge CEO Ralph Gilles, SPFX set supervisor Rick Thompson, SPFX foreman Richard Stutsman, 2nd unit director/stunt coordinator Spiro Razatos and stuntman/vault driver Henry Kingi. The clips look at stunts and action, various effects, cast, characters and performances, the movie’s vehicles and driving, and a few other production areas. Expect a series of quick and breezy pieces, some of which work better than others. The run from “Dom’s Journey” through “Dom Vs. Hobbs” tends to be pretty fluffy, but the others usually fare better. We don’t find tons of hard data, but the featurettes usually deliver good shots from the set and enough info to make them worthwhile. The disc opens with ads for Scarface and “Jurassic Park: The Ultimate Trilogy”. No trailer for Fast Five popped up here. A second platter presents a DVD Copy of Fast Five. This delivers a full retail DVD, so expect some of the Blu-ray’s extras. After 10 years, the Fast and the Furious franchise continues to rake in the big bucks – and I continue to feel somewhat befuddled by its appeal. Fast Five became a sizable hit but it never goes much of anywhere, as the characters, story and action all remain somewhat pedestrian. The Blu-ray delivers excellent picture and audio along with a strong roster of supplements. As a Blu-ray, Fast Five excels, but it’s not a particularly compelling movie.